Produktinformationen "Jones, The Dragon Vol. 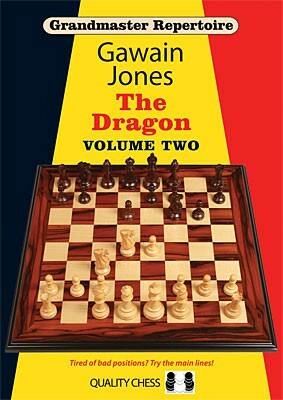 2 - kartoniert"
The Dragon is one of the most thrilling chess openings and a favourite of attacking players. But can this sharp and provocative system still be played in the modern era GM Gawain Jones says Yes! In this two-volume work, the world s strongest Dragon specialist guides you through the Black repertoire he has played successfully against world-class opposition. Drawing on his deep understanding as a lifelong Dragon exponent, Jones explains the key concepts and supports his recommendations with cutting-edge analysis. This volume deals with the 9.0 0 0 variation of the Yugoslav Attack, along with the Classical and White s various other tries. Weiterführende Links zu "Jones, The Dragon Vol. 2 - kartoniert"
Kundenbewertungen für "Jones, The Dragon Vol. 2 - kartoniert"